While each GSC program offers students a valuable experience in and of itself, students may also be able to earn college credit for their participation in any of the GSC service-learning programs: Global Public Health, Teaching English, Buddhist Immersion, Child and Orphan Care, and Community Development & Leadership Training. Opportunities are also available to combine these programs. Credit programs are offered in collaboration with Seminole State College of Florida. Credit may also be arranged with your home institution. GSC works through Seminole State College or directly with students’ college or university to offer a variety of semester programs, including a 16-week, 15-credit Cambodia Semester Study Abroad Program in the Fall and Spring of each year. 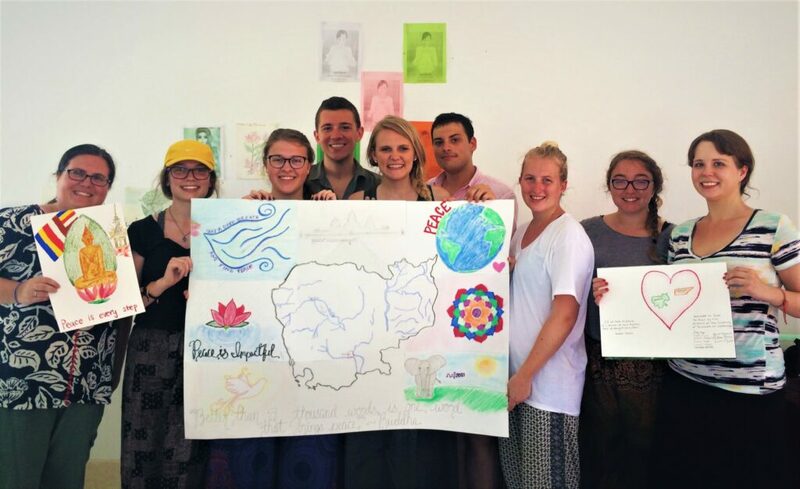 Focused on social development in post-conflict societies, the program combines an intensive foundations course, 12 weeks of field work with a local NGO, and a final Capstone project. GSC works through Seminole State College or directly with students’ college or university to offer a customized service-learning experience centered on an internship with a Cambodian NGO or community organization. GSC works through Seminole State College or directly with students’ college or university to offer a customized service-learning experience on an internship with a Cambodian NGO or community organization. Start dates are available every month of the year. GSC works with the Gap Year student and if appropriate with Seminole State College or his/her college or university to offer a customized service-learning experience on an internship with a Cambodian NGO or community organization. Start dates are available every month of the year.